Acidity or Maday Ki Tezabiyat is a common problem that affects people of all ages. Eating spicy foods, lack of exercise, irregular eating habits or stress can lead to acidity problems. Our stomach produces acid to digest the food that we eat. This is a regular and natural process. The main sign of acidity is that if you fell a burning sensation just above or right below your stomach. 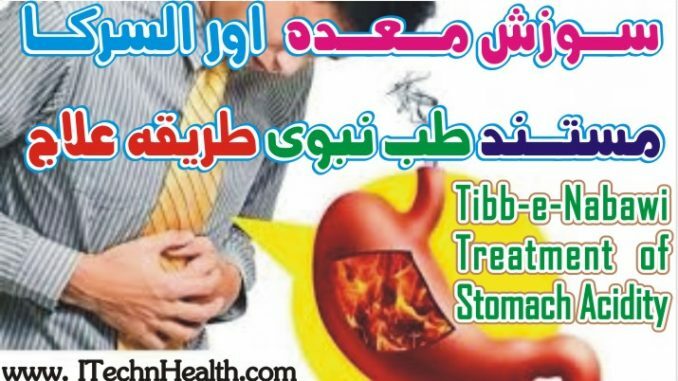 Tibb-e-Nabawi, is most effective and popular way of treatment to fix the diet primarily before adopting a medicine, unlike the Doctors at hospitals who give the pills to you as the first & final option. While you choose Tibb-e-Nabawi way of treatment you need to change the diet and some mild herbal medicines will do the job Insha’Allah. 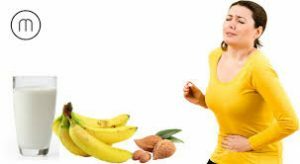 A diet low in fiber like white wheat bread & rice damaged fats, spoiled further by soda drinks, tea, coffee, pickles, salted foods, are the root cause of all ailments, on the contrary, Tibb-e-Nabawi insists for a beautiful diet that is high in fiber, low in animal proteins & healthy fats. Joo k daliya main shaid aur zatoon ka tail mila lain aur is mixture ko soba kali pait istamal karain is se kuch he arsa main maide ki tazabeet katam ho jaye ge. Taib e Nabvi k is tariqa elaj se aap ko Insha Allah zaror shafa mil jaye ge aur koi medicine kane ki zarorat nai parey ge. Khuain k shaid maide ki tazabiat ko katam karta ha aur stomatch k cell k hifazat b karta ha. Maidyek elaj ka Tab e Nabvi tariqa ye ha k hamesha honey se nasta kia jaye. Here are some natural remedies that can be used to treat stomach acidity. 1. Boil some mint leaves in water and have a glass of this after meals. 2. Don not take carbonated drinks & caffeine use green tea. 3. Include banana, Coconut water, lemon juice, watermelon and cucumber in your daily diet. These food are great for curing stomach acidity problem. 4. Avoid pickles, spicy chutneys, vinegar. 5. Include ginger in meals or have ginger in raw form. 6. Eat vegetables like beans, pumpkin, cabbage and carrot. 8. Drink a glass of milk everyday. 9. Wheat bread; replaced with the blessed Barley Bread. 10. Corn Oil or Sunflower Oil replaced with the blessed Olive Oil.